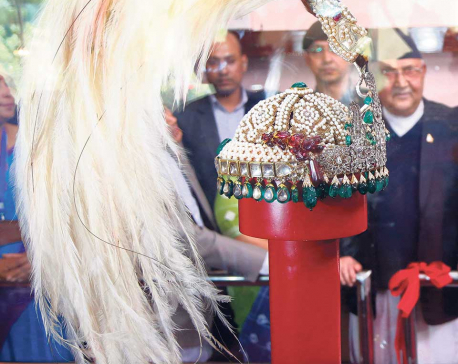 KATHMANDU, Oct 15: Ten years after declaring Nepal as a federal republic, the government is all set for public display of the royal crown of former monarchs of Nepal, starting from Monday. The crown will be displayed at Narayanhiti Palace Museum, which was converted to a museum after the abolition of monarchy in Nepal in 2008. The palace is now owned by the government. 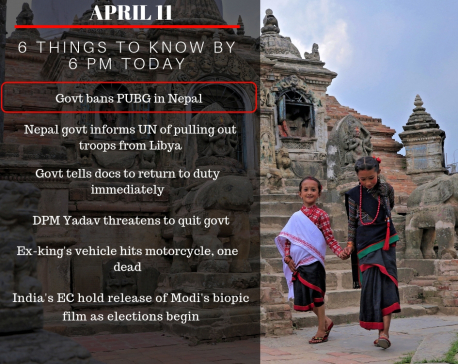 The then prime minister Girija Prasad Koirala had declared that the royal palace would be converted into a museum after the last king of the Shah dynasty, Gyanendra Shah, left the palace on June 11, 2008. The Ministry of Culture, Tourism and Civil Aviation is organizing a special program on Monday to display the crown, scepter and the sword used by the former kings. 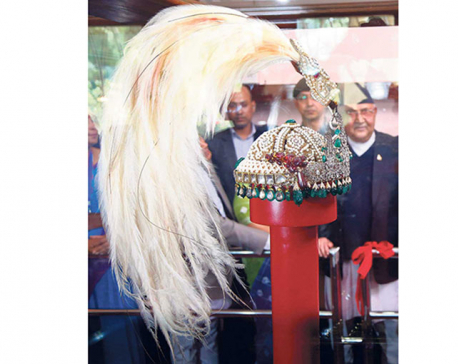 According to the chief of Narayanhiti Palace Museum, Rohit Dhungana, the crown will be kept on display at the museum after the formal inauguration by Prime Minister K P Sharma Oli on Monday, but the general public will be allowed to see it only after October 22 due to the public holiday. Although the museum was open for public on February 27, 2009, some of the priceless items including the crown and scepter, among others, were not put in public display due to security reasons. These items were kept at the palace under the protection of the Nepal Army. Special security arrangement has been made for the exhibition of the royal crown for the public. There are seven layers of protection meant for the crown. The crown has been placed in a special kind of bullet-proof box and if someone tries to touch the box, an alarm ring will be activated automatically. The room, where the royal crown has been placed, will have a CCTV camera round the clock. This will be monitored by the guards of the museum. The royal crown, which is bejeweled with diamonds and gold, used to be worn by the king on special occasions. After the crown became the government's property, the government tried to take help from jewelers to determine its price. Despite its efforts, the government failed to determine the monetary value of this priceless artifact. Reports say that the crown consists of around 2,700 pieces of diamonds in it. It is studded with precious ruby as well, while the top of the crown consists of plumes of a bird of paradise. There is no data about when the crown was made. It is said that former King Birendra Shah had repaired the crown in 2028 BS when he succeeded his father as the king.